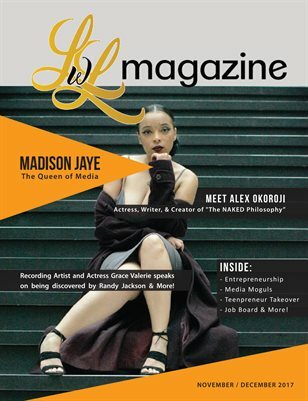 Leading with Lee Magazine is a digital and print resource guide for the aspiring and seasoned entrepreneurs, trendsetters, and game changers. Its where Boss Millennials network, build, and gain knowledge on how to start and grow their own businesses or personal brands. Our readers have 24 hour access to a plethora of business and branding tips ranging from our exclusive guest features, "How To" tips and tricks on networking, saving and investing, and more! In addition, we cover pop culture, fashion, entertainment, music, and community News.